If you've yet to experience this historical masterpiece, what are you waiting for? 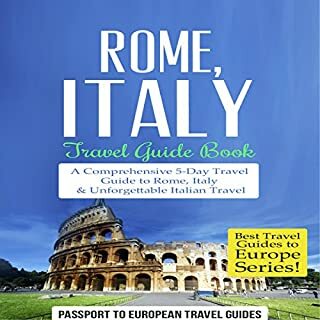 Passport to European Travel Guides offers this comprehensive yet quick and concise five-day guide to Rome - one of the world's most iconic cities to visit. Have no idea where to start? Or maybe you have some idea but could use a treasure trove of great insider tips? Well, listen up! You see, we know your trip begins long before you even book the flight, so this guide is chock full of dynamite tips on everything you need to know before you go. Journey to the center of Naples and the Amalfi Coast! Oh, the magnificent beauty of the south of Italy - what are you waiting for? 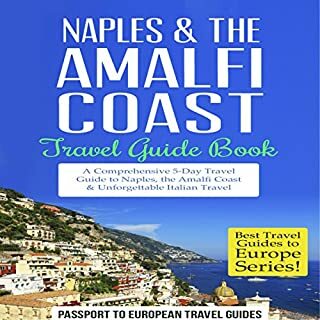 Passport to European Travel Guides offers this comprehensive, yet quick and concise, five-day guide to Naples and the Amalfi Coast - one of the most beautiful landscapes in the world! Have no idea where to start? Or maybe you have some idea but could use a treasure trove of great insider tips? Well, read on! You see, we know your trip begins long before you even book the flight, so this guide is chock full of dynamite tips on everything you need to know before you go - and much, much more you'll thank us for! 5 stars for this guide !!! 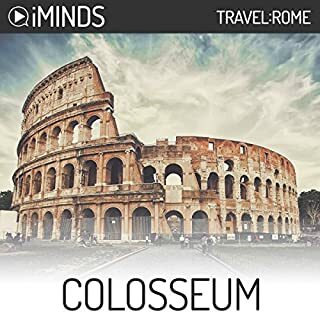 Any travel guide to Rome will urge visitors to go the Colosseum, but none answers a simple question: Why is it called the Colosseum? 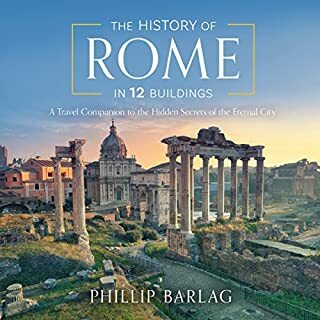 The History of Rome in 12 Buildings: A Travel Companion to the Hidden Secrets of the Eternal City is compelling, concise, and fun, and takes you behind the iconic buildings to reveal the hidden stories of the people that forged the Roman Empire. Although a tiny city- state, the Vatican City boasts many cultural and religious gems in its small boundaries. It’s famous for being the smallest country in the world, at less than 50 hectares, or 120 acres. And its permanent population is less than 1000 people. But it is home to the Sistine Chapel, St Peter’s Basilica, ten museums and many lush gardens! And as the world centre of the Roman Catholic Church, the Vatican is a place of enormous interest to pilgrims and art lovers the world over. Two thousand years ago the mighty Roman Empire spanned most of Europe, Asia Minor and North Africa. At its heart was the capital city of Rome, the city to which ‘all roads led’. Inside this city, the great ruins of the Colosseum are a lasting reminder of the majesty of this great empire. But the gigantic sports arena that is the Colosseum also reveals a dark side of ancient Rome. For the arena’s purpose was as a ground for gladiatorial combat. And in its wildly popular four-hundred-year history, the Colosseum would witness the deaths of thousands of humans and animals. The focus of this book is to make your short stay one of the most-memorable experiences of your life. The goal of this book is not to squeeze everything the city has to offer into 2 -3 days. The goal is to show you the best of the city in a short time. I know people like different things, but Venice is such an incredible city that even in a small area you will find a variety of things that will fascinate or interest you. Italy delights and stimulates with its magnificent cities and monuments, its stunningly beautiful landscapes, the glory of its art and architecture, the richness and variety of its food, the elegance of its design and fashion, and the vitality and charm of its people. Italian style and culture have been exported all over the world. The Italians are the most European-minded of nations, having emerged from a long history of regional fragmentation. Not nearly what I was expecting. The dome of St Peter’s Basilica is one of the most iconic images of Rome. The church attached to it drips with the splendour and marvels of a religion that has asserted world dominance over its two-thousand-year history. It is the largest Christian church on the planet. But perhaps even more than a beacon of Catholicism, St Peter’s Basilica is a monument to artistry and culture. Rome is a city of fountains. As you wind your way down narrow lanes and through busy streets, you are sure to pass many a piazza graced with a fountain spread out before you. These unique works of architecture couple grandiose designs with the refreshing presence of cascading water. For those who have visited Rome, it may not surprise you to learn that there are in fact an impressive 280 fountains in the Eternal City. And the most famous of all is the Trevi Fountain. Learn the ins and outs of traveling to Rome from an expert - Erica Stewart. The insider's guide for women traveling to this amazing city! Brimming with insider knowledge, helpful tips, and recommendations to off-the-beaten path attractions, this travel guide helps you discern the good from the bad and the worthy from the overrated. From sightseeing to shopping, clubbing, and of course feasting like a true Roman, let the author guide you through the overwhelming maze of options this magical city has to offer. Get ready for a one-of-a-kind audio experience: discover Rome through intimate, guided audio walking tours of the city's most historic and enchanting quarters. There are four guided tours for you to listen to as you walk through Rome, plus essential Italian words and phrases that every traveler wants to know. Rome is the capital and largest city of Italy and of the Lazio region. 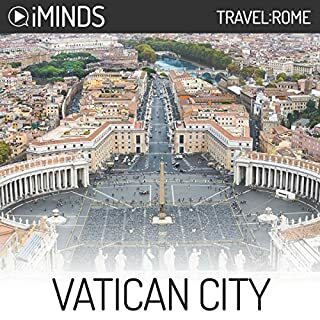 It's the famed city of the Roman Empire, the Seven Hills, La Dolce Vita (sweet life), the Vatican City, and Three Coins in the Fountain. Rome, as a millennium-long center of power, culture and religion, having been the center of one of the globe's greatest civilizations ever, has exerted a huge influence over the world in its 2,500 years of existence. Just as Rome wasn't built in a day, it cannot be seen in a day...or two, or three. Here are Rome's best attractions, free sights, biggest annual events, and tips on food, weather, and transportation! Journey to the center of Italy! Italy is one of the most magical countries in the world - so what are you waiting for? 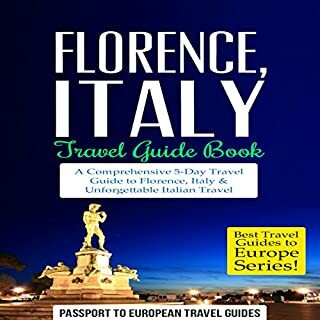 Passport to European Travel Guides offers this comprehensive, yet quick and concise, top 10 guide to Italy - one of the most romanticized countries in the world! Journey to the center of Venice, Italy! And if you've yet to experience this hypnotic, floating city, what are you waiting for? Passport to European Travel Guides offers this comprehensive, yet quick and concise, five-day guide to Venice - one of the world's most unique cities to visit. Experience the best of Rome in 72 hours! Many travelers who have limited time in a big city like Rome, make one big mistake. They try and see everything Rome has to offer in three days. The problem with this approach is that they end up burned out and tired. They wish their vacation would end so that they can go home. The good news is that with the right planning and approach you can have an awesome time in 72 hours. The key is not to try and see everything; rather try and see the best of the best Rome has to offer. If you are looking for a long academic text describing everything in Rome, then don't buy this book. 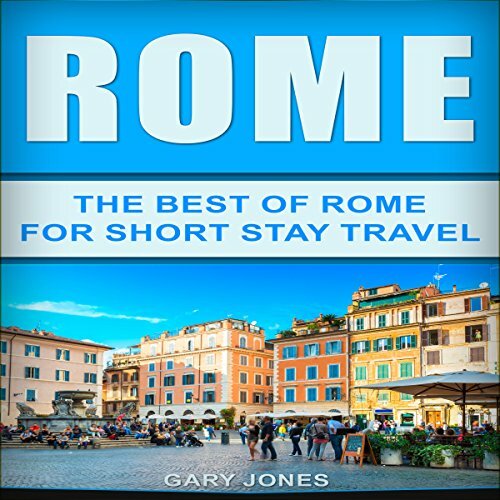 This book is for the short stay traveler looking for the best in Rome.